Seven high-profile local companies have decided to take part in the creation of a foundation, thereby demonstrating concrete commitment to the project and enabling them to participate in the management and promotion of the site alongside local players and inhabitants. 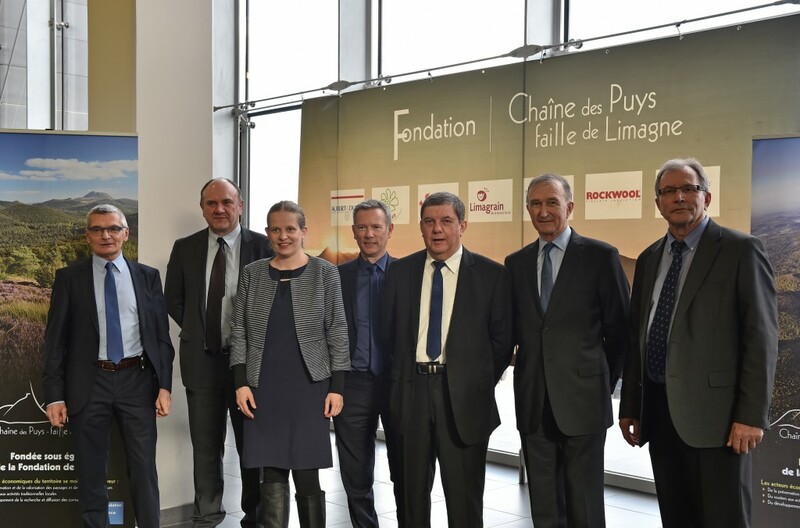 The Chaîne des Puy – Limagne fault Foundation was officially created on 14 December, 2012. The Foundation was set up to help finance those projects in the management plan which particularly target the preservation and enhancement on the landscape, provide support for traditional activities, and develop research and the dissemination of knowledge. The founders provided the foundation with a capital of 350,000 euros over a five year period from its creation, supplemented by additional one-off donations. The decisions relating to the foundation are taken collectively by an executive committee which includes a member of each founding business as well as qualified personnel who provide technical expertise for project proposals.